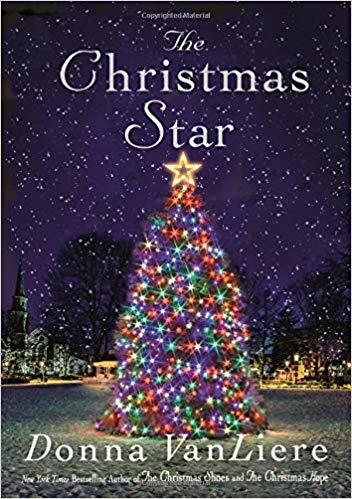 In The Christmas Star, Donna VanLiere delivers yet another sweet, joyous story that is sure to capture readers’ hearts. Thirty-two-year-old Amy Denison volunteers at Glory’s Place, an after school program where she meets seven-year-old Maddie, a precocious young girl who has spent her childhood in foster care. Unbeknownst to Amy, Maddie is a mini-matchmaker, with her eye on just the right man for Amy at Grandon Elementary School, where she is a student. Amy is hesitant – she’s been hurt before, and isn’t sure she’s ready to lose her heart again – but an unexpected surprise makes her reconsider her lonely lifestyle. As Christmas nears and the town is blanketed in snow and beautiful decorations, Maddie and the charming staff at Glory’s Place help Amy to see that romance can be more than heartache and broken promises. The Christmas Star is a special holiday story of forgiveness, second changes and finding your forever home. Maddie is the most adorable young child that you will ever meet. She is kind, full of joy and love. She is also quite clever and mischievous! She has big plans for the two important people in her life, that she feels are lonely and need love – Amy and Mr. G. Maddie becomes the star of the story as she brings together two individuals and creates her own future. Maddie, with childhood innocence, could never have known the history behind Amy and Mr. G – and neither of them could have ever imagined meeting again. While awkward and painful at times, Maddie in her own way, begins to help heal the hearts of these two adults. Allowing them to forgive, to heal and to move forward. With several turns, you are never quite sure where the story will end but you keep hoping that the two can make it together. The Christmas Star was a sweet story of second chances, forgiveness and hope. While Maddie does tend to steal the show, we have two very important characters in Amy and Mr. G, whom we are rooting for throughout the story. We also have several characters who will crack you up with some excellent comic relief. Donna VanLiere is a New York Times and USA Today best-selling author and gifted conference speaker. She has published ten titles including The Christmas Shoes and The Christmas Blessing, both of which were adapted into movies (starring Rob Lowe, Kimberly Williams-Perry and Neil Patrick Harris) and garnered big ratings for CBS television. LifetimeTelevision adapted The Christmas Hope (starring Madeline Stowe) and premiered it December 2009 to stellar ratings as well. Donna’s non-seasonal novel, The Angels of Morgan Hill, has captured the same warmth as her Christmas books and continues to please loyal and new fans alike. Donna is the recipient of a Retailer’s Choice Award for Fiction, a Dove Award, a Silver Angel Award, an Audie Award for best inspirational fiction, a nominee for a Gold Medallion Book of the Year and was recently inducted into the Ohio Foundation of Independent Colleges Hall of Excellence joining such luminaries as Coretta Scott King, Hugh Downs, Dr. Norman Vincent Peale and Senator John Glenn. Donna is an in-demand conference speaker having appeared at countless women’s and family events, including select Women of Faith and Extraordinary Women conferences. Donna lives in Franklin, Tennessee, with her husband, Troy, and their children, Grace, Kate and David. This entry was posted in book review.